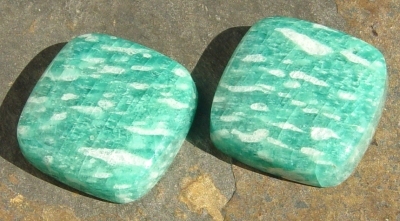 Named after the Amazon river, this opaque blue-green stone owes its unique color and appearance due to the presence of lead. 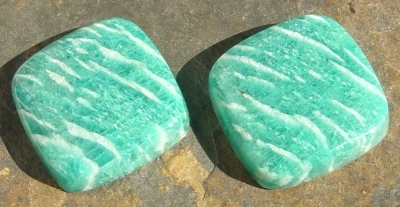 Can be confused with turquoise or jade. 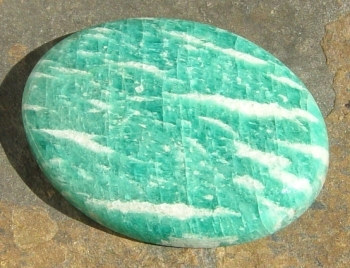 With areas of white and darker green blue. 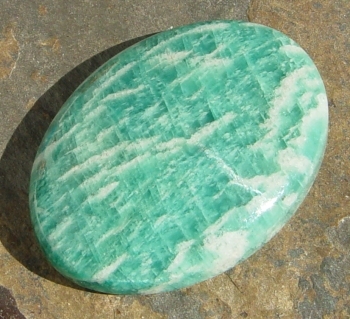 Specify size, shape and quality when ordering. Prices are subject to change without notice. 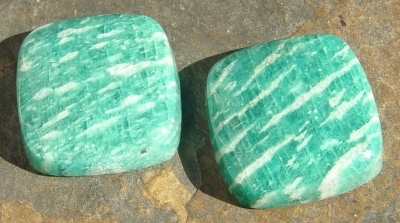 Actual carat weight may vary from the average carat weight listed. 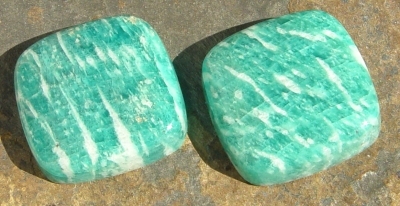 AA Opaque, similar in color to turquoise, but lighter in color. 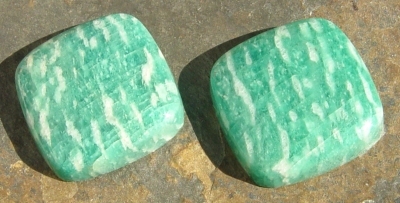 More uniform in color. 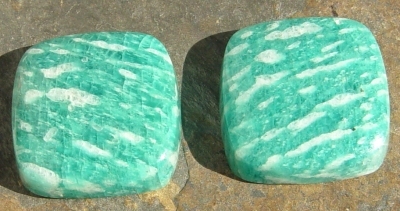 A Opaque, similar in color to turquoise, but lighter in color.